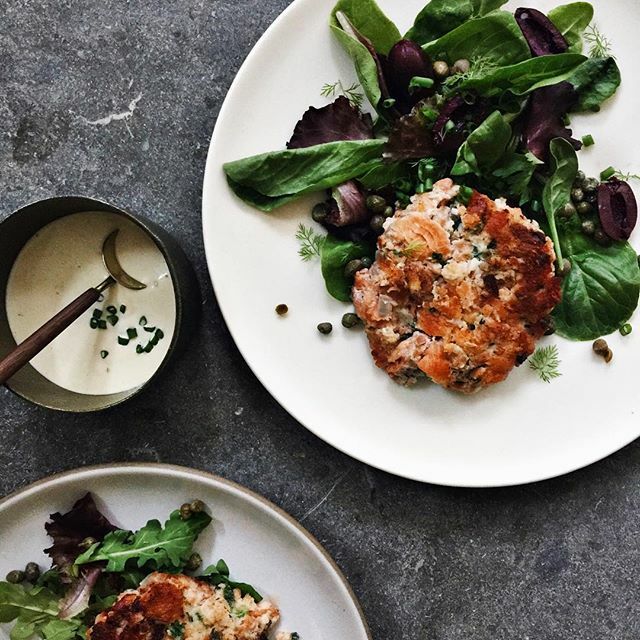 Theses salmon patties are an absolute weeknight dinner win. Bursting with fresh, salty flavor and boasting a crispy outside from the gluten-free breadcrumbs, these patties are a great recipe to fall back on. Feedfeed Tip If you're up for it, make a double batch of the salmon patties, and freeze half. When you're ready to eat them, simply thaw them in the microwave or on a hot skillet. Sometimes, the only way to get through Monday is with a large bowl of creamy spaghetti at the end of the day. 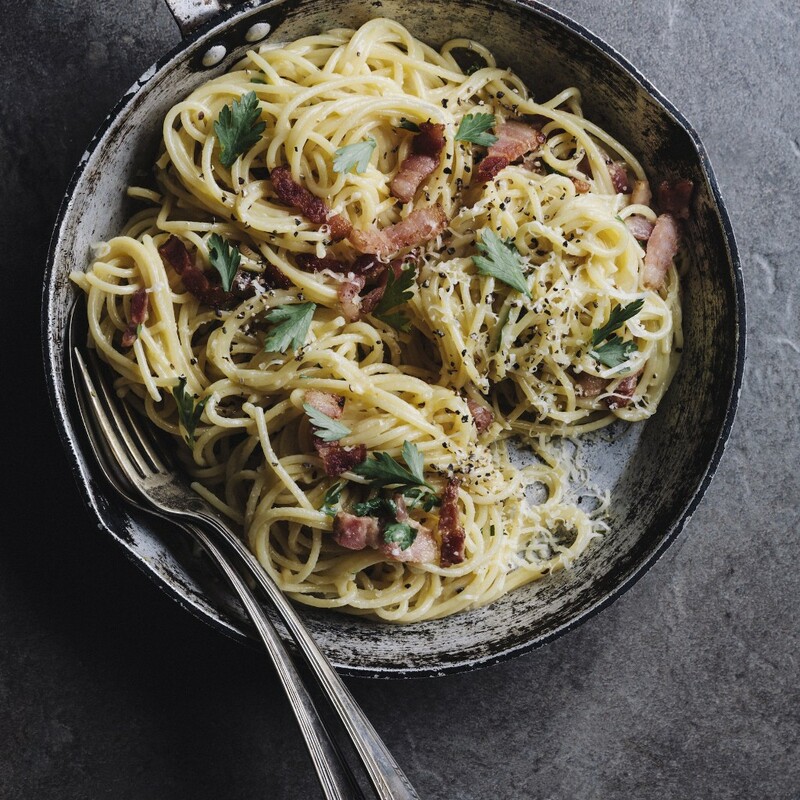 Pancetta delivers a delightfully meaty flavor to the entire dish, but if you can only get your hands on bacon, that works just fine, too. Feedfeed Tip Because the eggs will only be gently cooked from the heat of the warm pasta, make sure to buy the best quality eggs. Not only will they have the best flavor, but you don't need to worry about any contamination. There's something undeniably comforting about coming home to a simple platter of roasted root veggies. 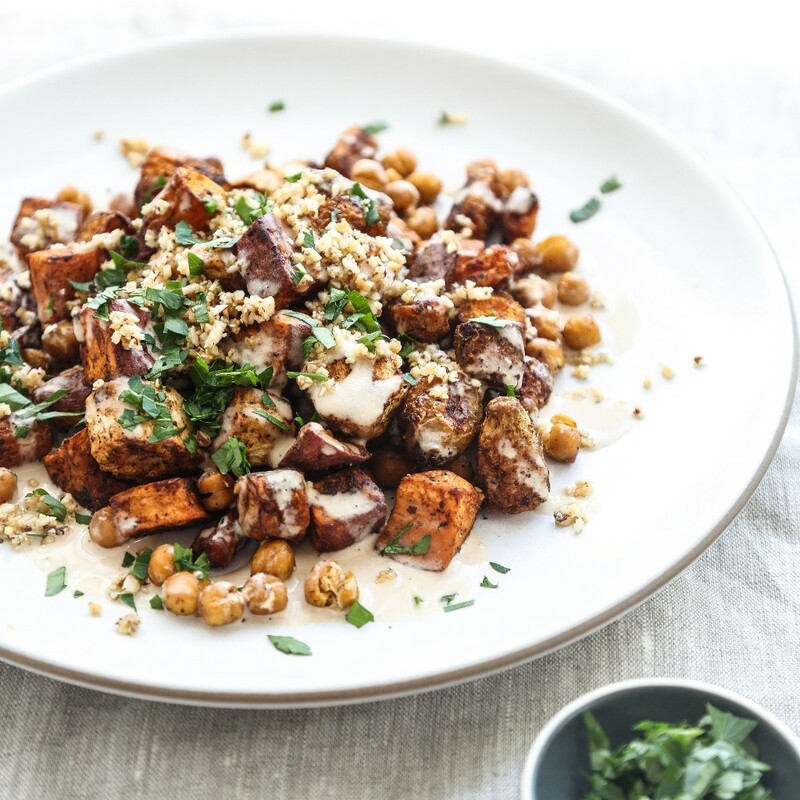 Topped off with a bright, garlicky tahini sauce, this simple, hearty dinner is an inexpensive option that the whole family will ask for again and again. Feedfeed Tip When roasting veggies on a baking sheet, it's important not to overcrowd the pan. If the veggies are arranged too close together, they will steam in the oven rather than acquire a crispy texture. If you'd like, serve alongside a store bought rotisserie chicken. Need an easy weeknight dinner? This polenta bowl is basically a warm hug. 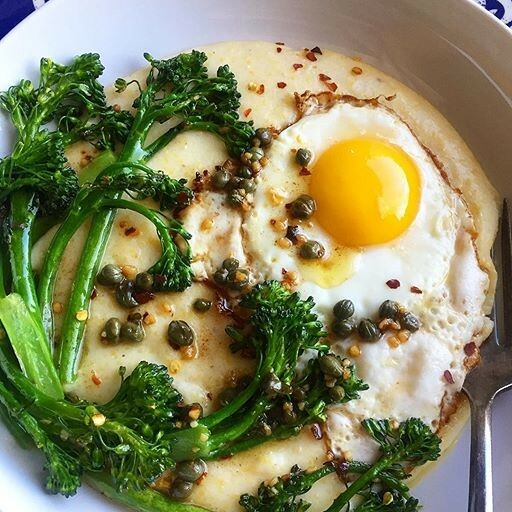 Topped with a crispy fried egg, this easy meal packs protein and veggie-goodness, without shying away from flavor. 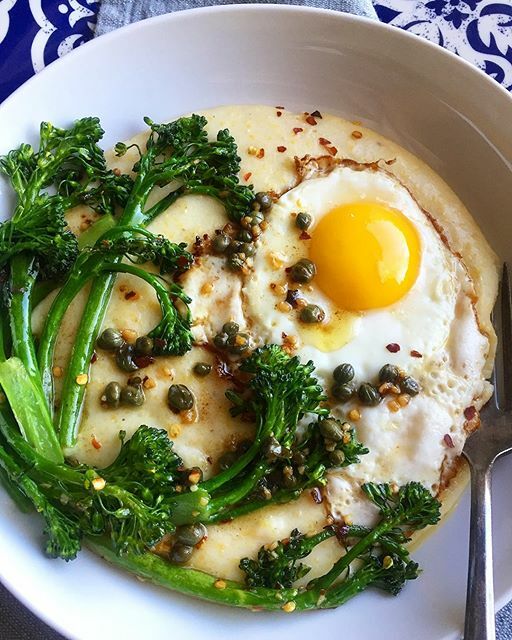 Feedfeed Tip In order to get that perfectly crispy fried egg without overcooking the yolk, it's helpful to baste the white with the hot oil. Simply tilt your pan to the side so that the oil pools, take a spoon and gently run the hot oil over the whites until they are fully set. If this melon and stone fruit salad doesn't get you in the mood for summer, we're not sure what will. 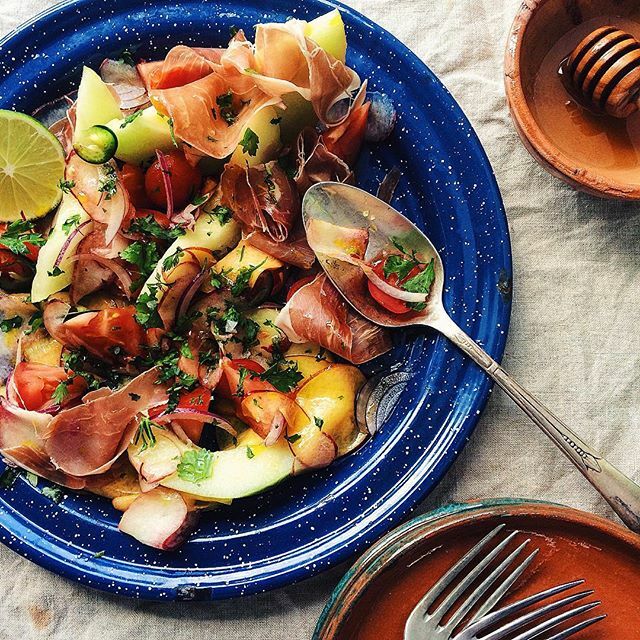 Salty strips of prosciutto balance out the sweetness of the fruit for a salad that is absolute perfection. Feedfeed Tip Make sure to transfer the melon, nectarine, and peaches to the refrigerator a couple hours before preparing the salad. This way, all of the components will be ripe, but they'll be delightfully chilled. 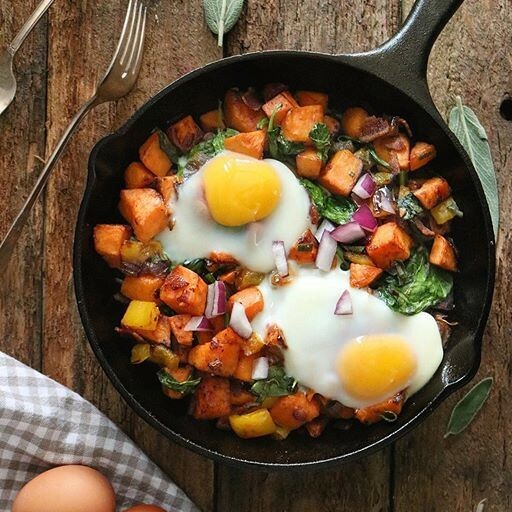 This simple baked skillet hash is as simple as weeknight dinners come. If you like you can substitute sweet potatoes for your root vegetable of choice, and you can always play around with the veggies and leafy greens that you choose to add. Have fun with it! Feedfeed Tip When making a dish that starts on the stove and finishes in the oven, make sure that the pan you're using is oven-safe. Cast-iron skillets are a great option for this kind of process, as they retain heat better than a basic skillet, thus giving you an ultra-crispy final product. This simple gluten-free crust comes together in less than 15 minutes, and once it's made, the topping options are endless. 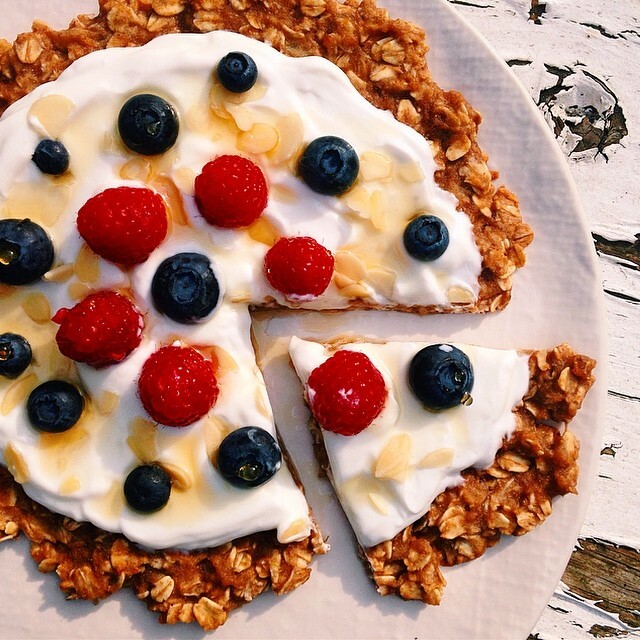 Seen here, it's topped with Greek yogurt, berries, and honey, but you can garnish with whatever you're in the mood for.